Winters in Southern Ontario can be harsh, and that’s why Pro Landscaping is pleased to offer Newmarket snow removal services. Our team of environmentally conscious technicians can clear your property of snow and ice safely and effectively. 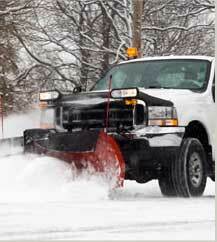 Our snow removal services range from snowblowing, de-icing, salting, and shoveling. We also offer eco-friendly salt options that protect your property. We are able to work on any size of building, ranging from large commercial spaces to small residential buildings. Whether it’s a snow or ice storm, Pro Landscaping can ensure that your property has safe and clear paths. We are fully licensed and certified in Ontario, meaning our team of professionals will take great care when treating your home or office. When it comes to snow removal, Newmarket residents know that removal methods must be safe, effective, and timely. Our environmentally conscious team is dedicated to clearing snow and ice from exterior of your building, no matter how harsh or heavy the storm! ©Copyright 2019 Pro Landscaping | All rights reserved.